David Clark starts with a lightweight, comfortable headset and adds ENC technology for a super quiet ride. Soft air-flow pillow headpad and new "undercut" gel-filled ear seals provide extraordinary comfort. The headset has advanced Electronic Noise Cancelling technology that assures an amazingly quiet flight. When ENC is active, noise cancellation improves by 12-17 dB. The ENC system and exclusive M-7A noise cancelling electret microphone provide unsurpassed performance and clear crisp transmission and reception. Also stereo compatible for use with stereo intercom and cabin entertainment systems. Lightweight at just 480g and featuring super soft gel earseals with exclusive velvet fleece surface, combined with reduced headband pressure and a soft foam filled pillow headband create a comfort level never before experienced in a noise attenuating headset. Operates on one nine volt battery (included). Automatic ENC shut-off saves battery life. Dual volume control. Noise Reduction 23dB + 12-17 ANR Reduction. Super soft gel ear seals. Exclusive, patented flex/wire boom for easy, precise mic placement. M-7A noise cancelling electret mic provides clear, crisp transmission.. Stereo compatible for use with stereo intercom. Battery Power Module - 1 x 9V battery for up to 25 hours of operation. 150cm (extended) coil cord terminating with a 10 pin quick release connector. Backed by a David Clark 5-Year Guarantee. David Clark Electronic Noise Cancelling (ENC) headsets are designed to deliver superior active noise reduction performance. Perfect for pilots that are passionate about sound. DC PRO-X is new model with advanced, Hybrid ENC technology. ENC headsets feature electronically independent, dual earphone drivers with Fail Safe operation for uninterrupted communication - even if the ENC system or its power source fails. 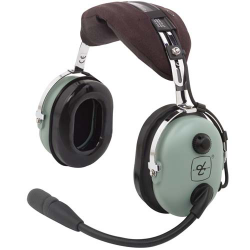 The David Clark H10-13.4 Headset is the best selling noise-attenuating headset. No other headset has been able to match it for comfort, performance and reliability. Its lightweight design and outstanding comfort features reduce fatigue during flight. Low-profile volume knob with detent settings guards against accidental volume shifts. Durable construction includes a moulded cord assembly made to exceptional pull and flex standards. The H10-13.4 is the headset that sets the quality and performance standards for the entire industry. Extremely lightweight - only 380g. Certified Noise Reduction Rating - 23 dB. New Soft Air-Flow Pillow Headpad. Universal Flex Boom for perfect microphone placement. Exclusive M-7A, the most advanced noise-cancelling microphone available. Low-profile volume control knob with detent settings. Moulded cord assembly made to exceptional pull and flex standards. 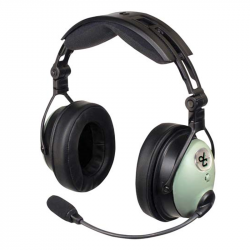 The David Clark H10-13H is one of our best selling helicopter headsets, based on the proven design of the H10-13.4 headset. No other headset has been able to match it for comfort, performance and reliability. Black ballistic nylon headset carry bag with DC Logo. Fits one headset with split front pockets for maps, pens and full width pocket in back to accommodate a clip-board, book or magazine. Enjoy this headset bag's stylish look and durability. Its split front pockets are perfect for storing important papers, pens and other items you need close at hand during flight and travel. 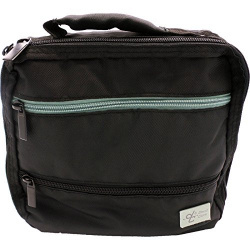 Keep personal items secure along with your headset with the David Clark nylon headset bag. Slip your map in its outer pocket for quick reference during flight. The pilot headset bag is designed to fit one headset comfortably. The David Clark bag is lightweight and features a removable shoulder strap for added versatility. 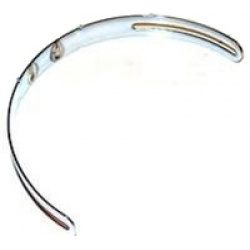 Gel-filled ear seals mold to the sides of the head for a perfect seal with each use. Extremely comfortable and comes with a 7-year guarantee.